Whether you need a web site, a web application, or you need to promote your product or service – we have the expertise and proven track record to help. You'll hear us talk a lot about Spark Eleven T.L.C - Traffic, Leads and Conversions. We'd love to work with you to tailor a marketing solution to make your business thrive. Whether you need a Digital Marketing Strategy or a combination of offline and digital, we have the experience and tenacity to drive your success. Our internal Dev/Ops team handles Website Design, Website Application and Mobile Application development and provides ongoing application and infrastructure support for well known Australian brands. Our cloud architects design and implement managed hosting services for complex environments. Are you bewildered about marketing your products and services and don't know where to start? Do you have a great idea you want to take to market, but don't know where to what to do next? We can help you with strategic planning and business case development to help you plan out your marketing plan, your minimum viable product (MVP) and ongoing product roadmap. Frankston City Council and partner FSG engaged us to build a mobile app in support of their campaign to proactively tackle domestic violence. 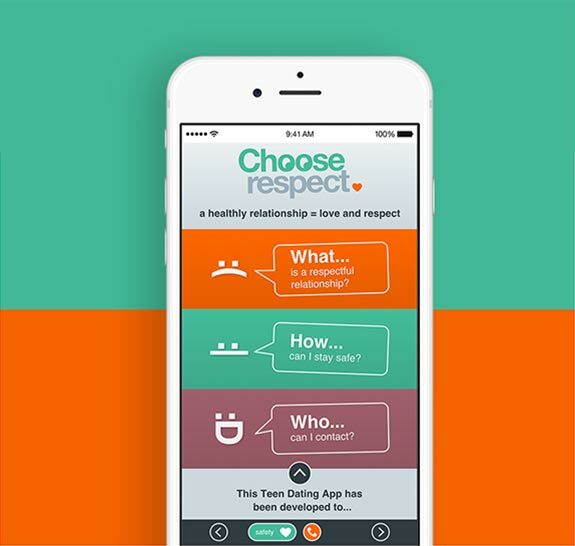 We created an engaging app targeted at 13 to 20 year-olds that could inform them of what respectful relationships look like, how to identify when you are not in a respectful relationship and where to get help when needed.